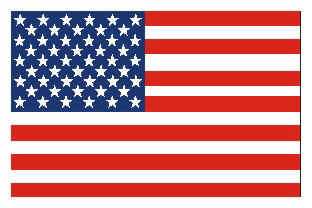 Our American Flag Decals are available in two different materials. 3M white Reflective Scotchlite or regular opaque white. The image is printed using screen process printing sometimes called "silk screen." We use the highest quality exterior vinyl screen ink for the longest outdoor life. Just peel and stick to any smooth surface.